This new edition of the classic gastrointestinal pathology text once again provides pathologists and gastroenterologists with a comprehensive reference tool.The pathology of the GI tract is reviewed in sections according to each anatomical part of the body, with the goal of aiding the gastroenterologist in his/her clinical decision making when treating patients. Emphasizing the important role the gastrointestinal pathologist now plays in patient management, Morson and Dawson’s Gastrointestinal Pathology, 5th Edition, is a comprehensive resource for both training and practice. This revision of a “gold standard” textbook reflects current practice, where the abundance of surgical specimens and the revolution in endoscopy has made virtually the entire gastrointestinal tract accessible to biopsy. Each part opens with a chapter on normal anatomy, dissection, and relevant histology. The following chapters describe the morphology, pathogenesis, and aetiology of specific disorders and incorporate developments in molecular pathology and immunohistochemistry. A concluding chapter in each part summarizes miscellaneous conditions of that organ. More than 700 colour images throughout the text illustrate the discussion. 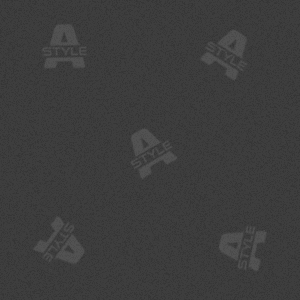 An associated website contains all the figures for easy downloading into presentations. 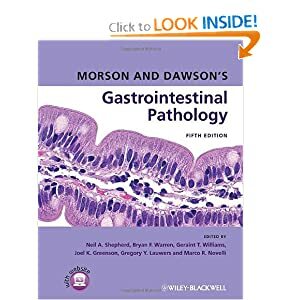 With outstanding contributions from the world’s leading gastrointestinal pathologists and a wealth of new information, Morson and Dawson’s Gastrointestinal Pathology, 5th Edition, will serve a new generation of gastrointestinal pathologists, gastroenterologists, and pathologists as the definitive reference for the field.